Fantastic German Lunch Family owned and operated... ever had), potato pancakes, sauerbraten, warm potato salad, red cabbage.I’ve been going her since I was a kid. Thank You so much for the wonderful review! We are so glad that yo enjoyed your meals and complimenting our staff! !! Hope to see you again soon and be sure to tell your friends!!! Have a great day! Thank You so much for taking the time to write this wonderful review. It makes our day to see that your enjoyed your visit and shared it for others to read. Hope to see you again soon! I have been bringing my family to Mickey and Minnie's for years and still enjoy the quiet, relaxing atmosphere and the friendly people there. We love the chicken parmesan sandwiches! See you soon. Thank You so much!! We appreciate your business and look forward to seeing you soon!! We stopped here for lunch and what a surprise. 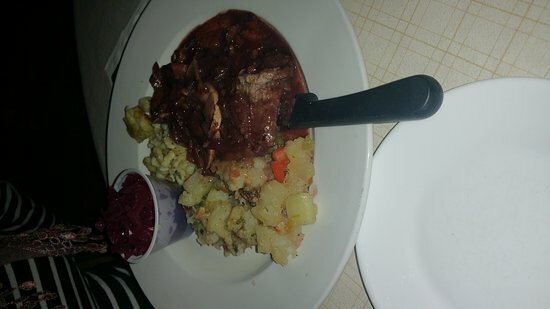 Delicious German food and reasonable prices. Thank you Digger for your smile and service. Will be back especially for their Oktoberfest and will spread the word about this place. Thank you so much for the kind words. It means a lot!! We are so glad you had a great dining experience. See you again soon!! Good Morning Doug, I apologize for your dining experience. I did not see this until today. I will follow up with my staff ASAP. Have a great day! I hope to see you again soon. A simple mom and pop type place (simple but cozy) but with a good German wheat beer and tasty, genuine German items...pretzels (the best I've ever had), potato pancakes, sauerbraten, warm potato salad, red cabbage. We will be back to try more items! Thank you so much for the review. We appreciate you telling of your dining experience. We look forward to seeing you again soon! Enjoy the day! Get quick answers from Mickey & Minnie's Inn staff and past visitors.